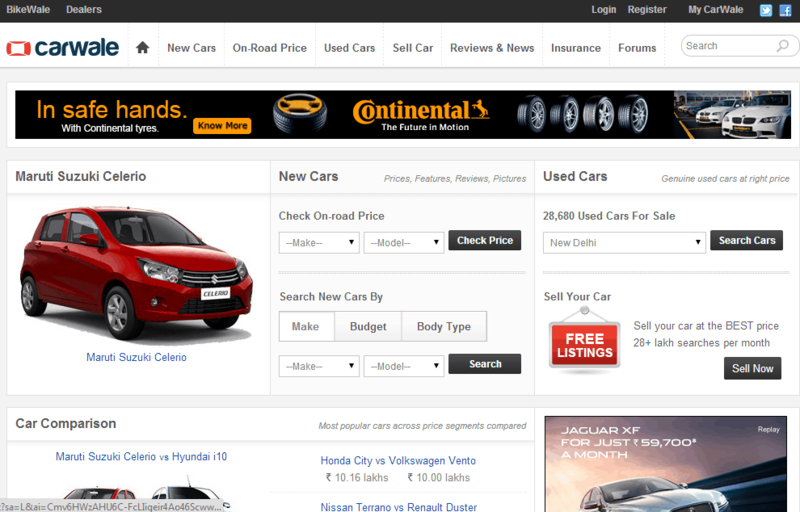 Launched in 2005, Carwale.com is one of leading automotive web portals in India at present. Owned by Automotive Exchange Pvt Ltd, it is backed by India’s leading early stage venture capital firm Seedfund, and top tier US venture fund Sierra Ventures. Its corporate offices are located in Delhi, Mumbai, Chennai and Bhopal. Carwale.com allots 80% of its marketing budget to the online medium, a large portion of which goes to Google Adwords. In just five years after its launch it became the number one web portal in India for automobiles and since 2010 it maintains its position in the market. It sold around 15 lakh cars last year which amounts to 10 per cent of the total cars sold in the country. Moreover, 30,000 users make inquiries on the website per month, and a significant portion of this traffic converts into sales. To connect users to leading car manufacturers like GM, Skoda, Mahindra, and so on. Connect users to the leading insurance and finance companies. Signed up with Google Adwords and ran various ad campaigns to attract more users. Made use of conversion tracking to track ROI and make future predictions. The Keyword Tool was also used extensively by the in-house team to check search traffic and cost estimates, before adding new keyword to their account. Sold around 15 lakh cars last year which amounts to 10 per cent of the total cars sold in the country. Helped in attracting the targeted audiences – the buyers and the sellers, manufactures and the dealers. The online medium is extremely aligned to the ROI centric approach of the company. This is the reason Carwale.com has allotted 80 per cent of its advertising budget to the online medium, of which a large portion goes towards Google AdWords. Besides, the new AdWords interface better and easier to navigate. All advertisers in the auto industry should start using Google AdWords and analyze it to see how much ROI is derived from the online space.